The British population now stands at 65.6 million and is increasing year on year, with a greater proportion of people over 65 than ever before. National statistics show that older people will make up nearly a quarter of our overall population by 2030. Tower Lifts is seeing the effects of change already with a rapid growth in the demand for our domestic lift services. There is currently a boom in sheltered or managed housing, for elderly people requiring DDA compliant domestic lifts throughout the complex, and an increasing number of households are planning for their later years by installing bespoke domestic lifts in their home, in order to ensure ease of access as they get older. Domestic lift services are at the heart of managed independent living for older people. A carefully designed network of residential lifts, adapted to accommodate the needs and requirements of residents, can create a hub for maintaining mobility and enjoying the advantages of living in a caring community. Our home lifts are designed to blend in with the surrounding décor, and to provide an elegant focus for the reception, or social area. 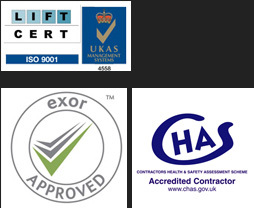 Tower Lifts are expert Home Lift Company, we have supplied domestic lift installations to clients across the UK. Call us today if you’re interested in our residential services on 01525 601 099! Many of our clients are apprehensive about taking the step to install a home lift, but once they have seen and experienced the stunning technology, and elegant design features, they plunge into enthusiastically planning this new addition to their home. As a home lift company with over 15 years of experience in designing and installing domestic lifts, we can guarantee to provide you with both the mobility and design that you require. We attend carefully to every detail, including the width of the door and the cabin size to ensure ease of use. Our home lifts are durable, reliable, and they run quietly which makes them perfect for installation in a domestic environment. When we install domestic lift we know that the service they provide will be vital to their passengers’ well-being day-in, day-out. That’s why we offer home lift repair services with ever lift we install – to ensure ongoing maintenance and immediate response in the case of break-down.